I don’t want a nurse; my Mother is more fair. I don’t want a nurse, my Mother is more fair. I have had a fascination with Islam since my freshman year of high school. At one point, I even stated the Shahadah within the confines of my home at one point when I became worried that if I did not, I might die and not go to al-Jannah (Paradise). Of course, my swift decision to convert did not last long as I felt overwhelmed by the huge number of lifestyle and ideological changes I would have to make in order to be a proper Muslim, and so I collapsed spiritually. I am still not sure how I feel about this event in my life, as I always hear stories of Muslim converts who are very happy with their change in religion. But while I myself am not currently a Muslim, I still have a great deal of respect for the religion and its practitioners. I will note here that I am not speaking for orthodox Islam, much as my articles on the Virgin Mary do not speak for orthodox Christianity. Unlike many other websites I have come across during my research, I will not attempt to say that “Muslims believe in a Moon Goddess called Fatima” or other such nonsense, because I know enough about Islam to know that this is not true. 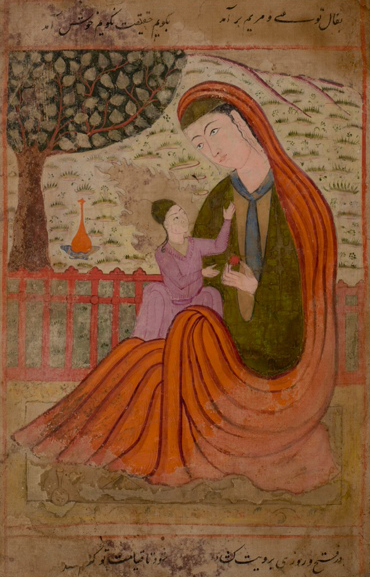 Rather, this article is a very brief look at literature and symbolism regarding the Divine Feminine in Arabic/Islamic history, and is intended primarily for those who have an interest in the topic or Pagans who incorporate Arabic traditions into their worship. Both the names al-Rahman and al-Raheem stem from the same root word, rahm, which means “womb”. We can think of this in the sense that Allah is the Creator of the Universe, and thus comparing Allah to the feminine symbolism of a womb carries rich metaphysical meaning. Al-Hakim (The Wise) is another feminine Name of Allah. This Name has parallels to the Divine Feminine incarnation of Wisdom in Gnostic Christianity, Sophia. 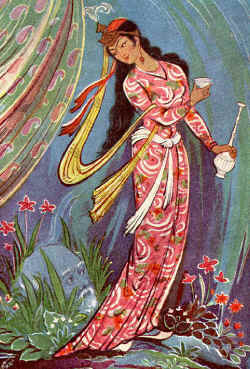 The Sufis use the term Wajh or “face” as a name for the the Divine Essence. 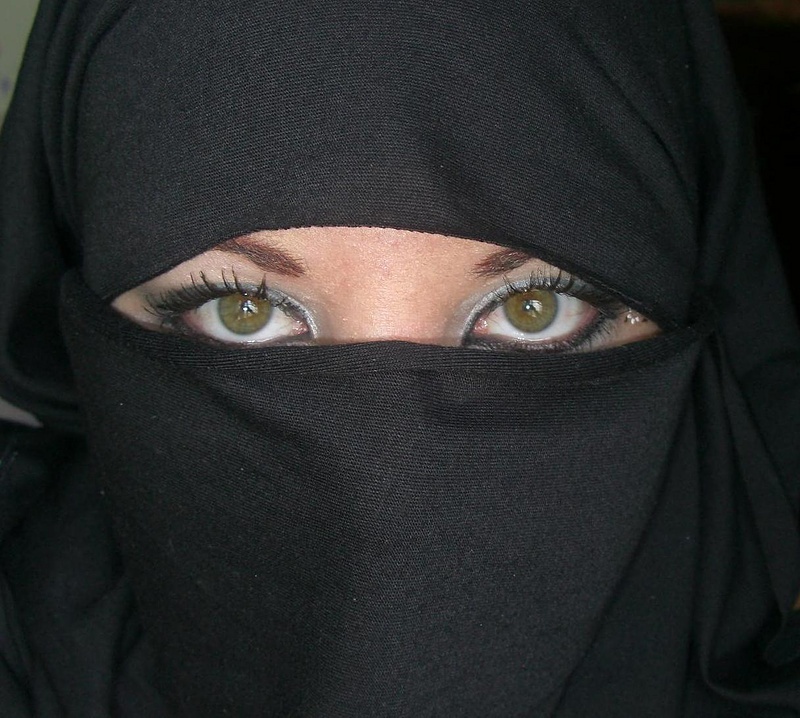 The veil worn by women is thus symbolic in esoteric Islam of the veil that covers the face of God, the Divine Essence. It is also worth taking note that the holiest building in Islam, the Kaaba, is also covered with a veiling shroud called the kiswah. 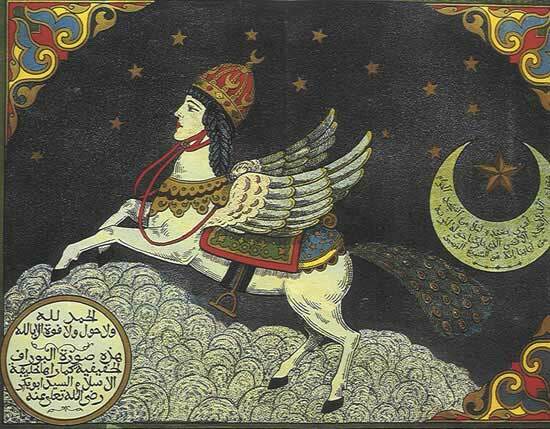 -During the Miraj (Muhammad’s ascension into Heaven), Muhammad is escorted by the archangel Gabriel (a masculine force), but the vehicle upon which he rides was a feminine creature known as the buraq, which has the body of a white winged horse and the face of a woman. While many later aniconist Muslims claim that this hadith is weak and unreliable, disputes exist within the Islamic community regarding various matters and contradictions occur even in the Qu’ran itself. I believe that if this hadith is true, it is fruit for thought that the Prophet Muhammad would choose to salvage an image of the Mother and child. So interesting, as always. You are a talented writer, Miss Carmilla. I have started reading a book called, The Muslim Next Door. While not about the Divine Feminine, it is an interesting and down to Earth look at Muslims within American culture. I have not read that book yet, but it does sound like an interesting read! Thank you for telling me about it! I am not sure either, but that is quite an interesting observation from an Islamic point of view. Thank you for sharing your insight and giving me something to think over myself. God bless you.